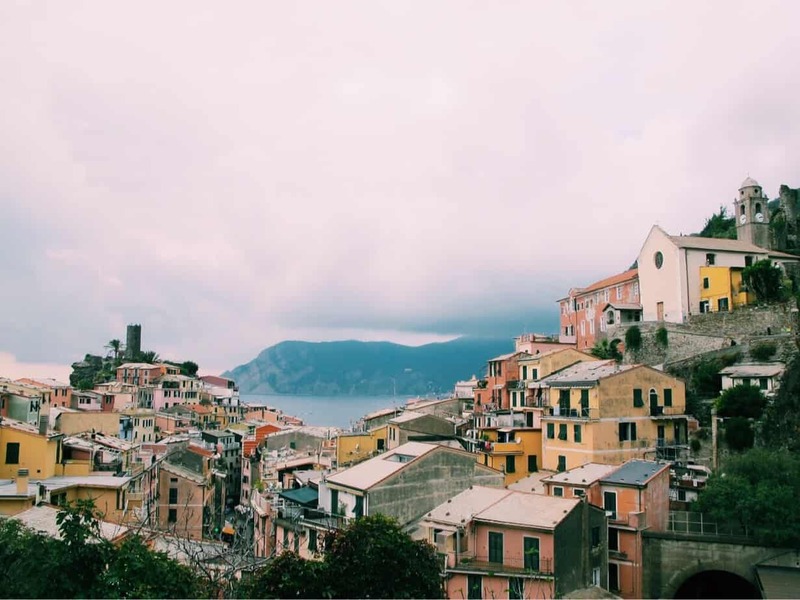 Prior to our trip to Cinque Terre, Italy, I was thrilled to see the famous coastal villages, but was expecting to go hungry as my Google searches showed that gluten free Cinque Terre options were spotty at best. 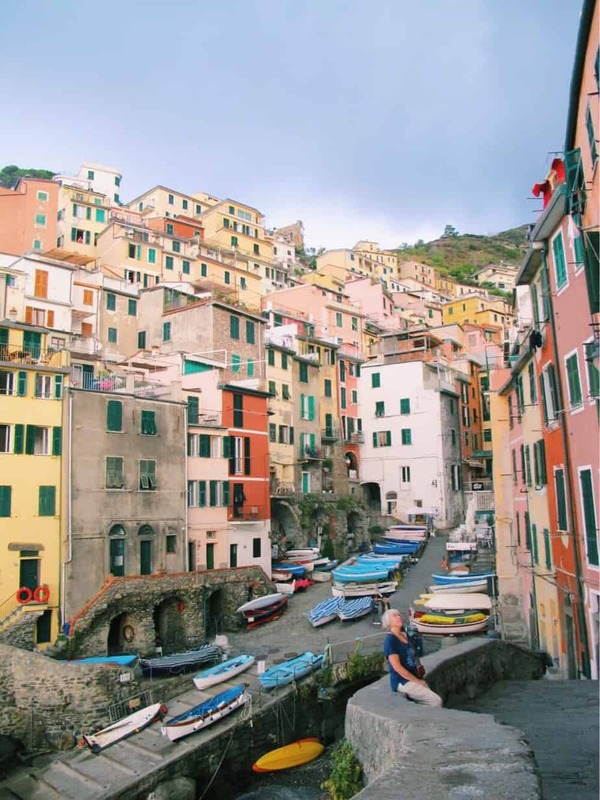 I figured that there are worse things than living off gelato and limoncello…maybe my stomach wouldn’t feel so empty if I distracted myself with the colorful villages around me. WELL. 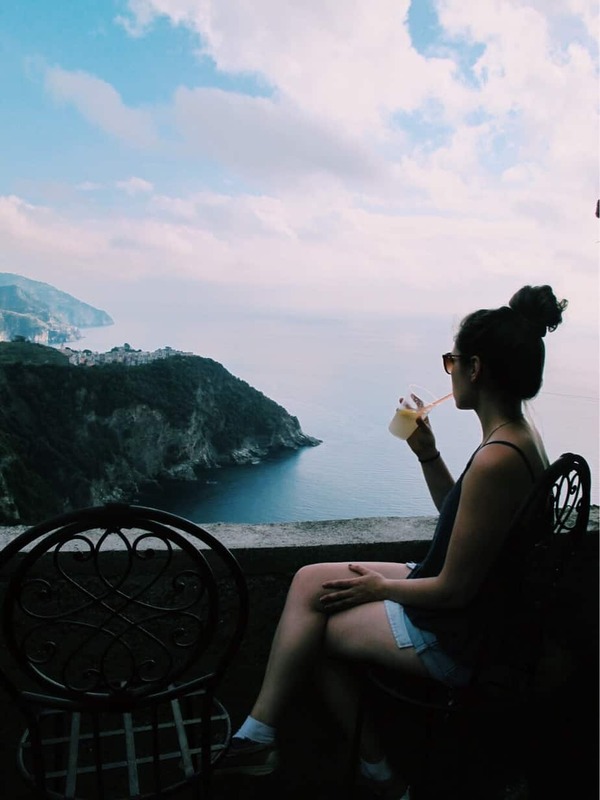 After our five-day stay in Cinque Terre, I am here with an updated list for all of my gluten free traveling friends out there. 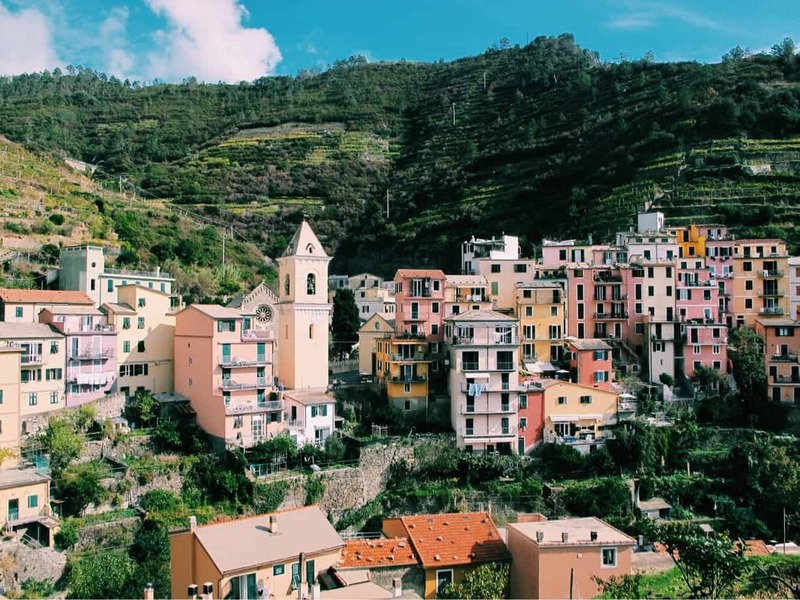 This really is the ultimate guide to gluten free Cinque Terre, Italy: below you can read my restaurant recommendations village by village, as well as some general tips such as what village to stay in, traditional foods, and more. 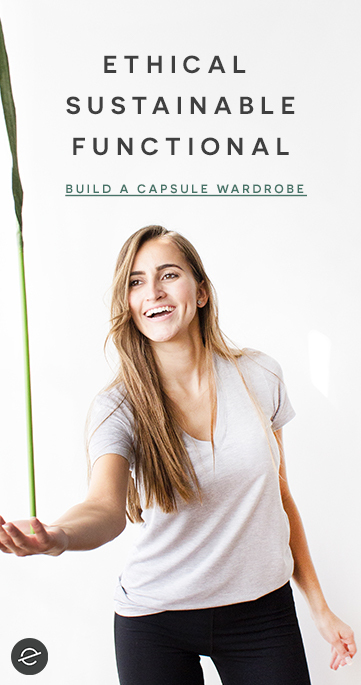 I have also included a downloadable map at the bottom of the post! Enjoy and happy gluten free traveling. 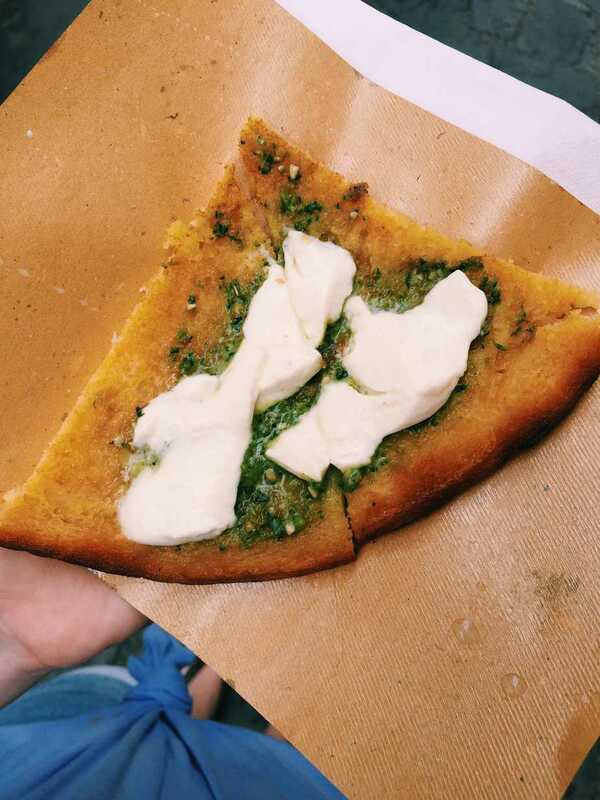 Farinata: Lucky for us, a traditional Cinque Terre specialty is Farinata, which is a naturally gluten free pizza-like dish, made of chickpea flour. You can find it in every village at any takeaway place! 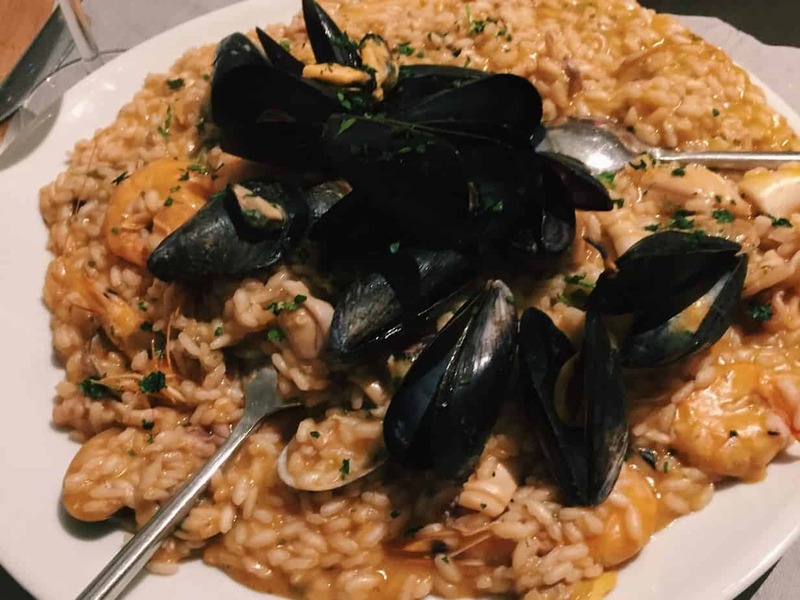 Make dinner reservations: If you’re gluten free and traveling to Cinque Terre, I recommend taking the time to plan ahead (and you’re already halfway there as you’re reading this post!). 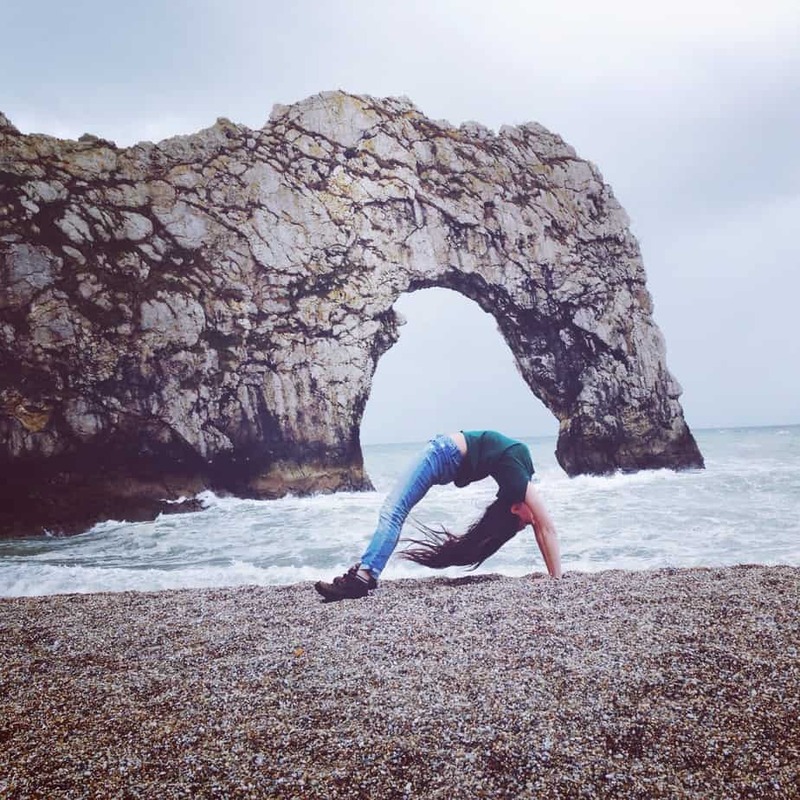 You have to make dinner reservations at most places anyway (thanks to the seething number of tourists in all seasons) so make sure you book a reliable gluten free restaurant! 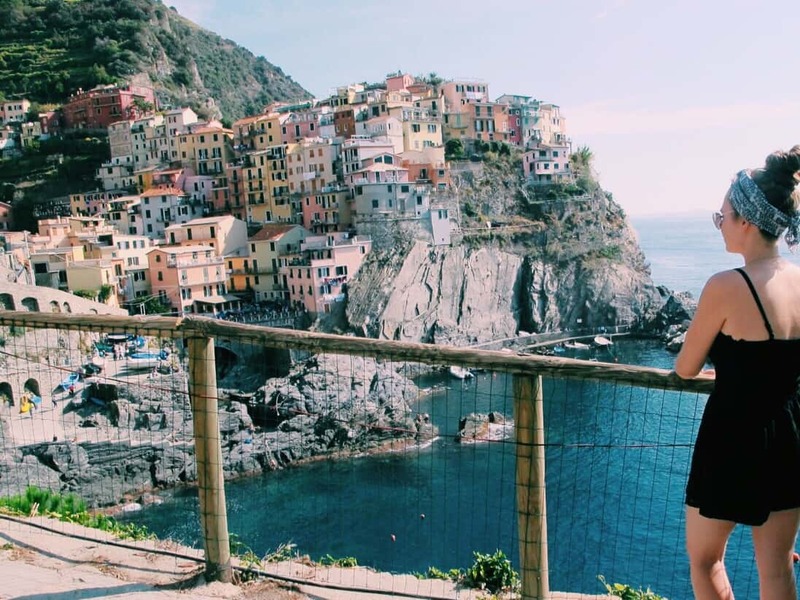 Where to stay: I would recommend either Riomaggiore or Manarola from a gluten free standpoint. 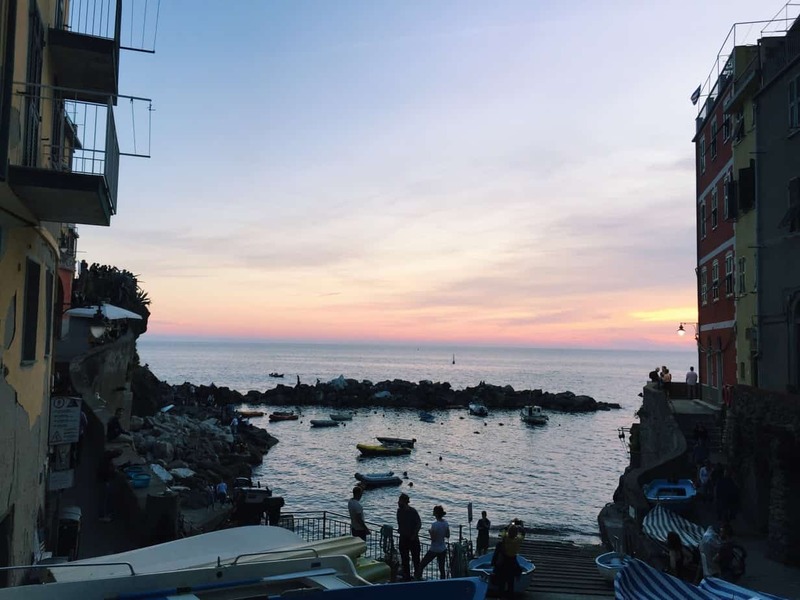 Manarola has the most options (lunch, sweets/pastries, and dinner), but Riomaggiore has the best dinner option (Veciu Muin). According to Tripadvisor, Monterosso has tons of gluten free restaurants as well (although we only tried one which was a bust) but I personally think this is the least “authentic” feeling village. Ultimately it doesn’t matter so much where you stay as it is so easy to travel between villages on the train. Bring supplies: You’ll find a “5Terre Coop” in each village, which is a very small grocery shop. I was able to find gluten free biscuit/cookies for breakfast, but you won’t find gluten free pasta, bread or other food here. So if you are looking to cook at home in your apartment, make sure you buy pasta/bread elsewhere and bring it to Cinque Terre with you. The southern-most village, where we stayed, with a beautiful but small marina and the best gluten free dinner option, in my opinion. my lovely mom in riomaggiore harbor! Veciu Muin: We ate dinner here twice (our first and last night) as it became clear by our last night that Veciu Muin is the best and most reliable gluten free dinner we were going to find in Cinque Terre. It’s a simple and unpretentious place, further up the main road so more quiet than other restaurants. You don’t need a reservation, but I would recommend it as there aren’t many other options if you can’t get a table. They have gluten free pasta AND pizza. The pasta is only spaghetti, but you can have any sauce (minus the lasagna)…I loved the pesto pasta, and the ragu was good as well. They have tons of pizza options, but the pizza base is just a cooked frozen base, according to Tripadvisor reviews. I decided to save my pizza appetite for Florence. 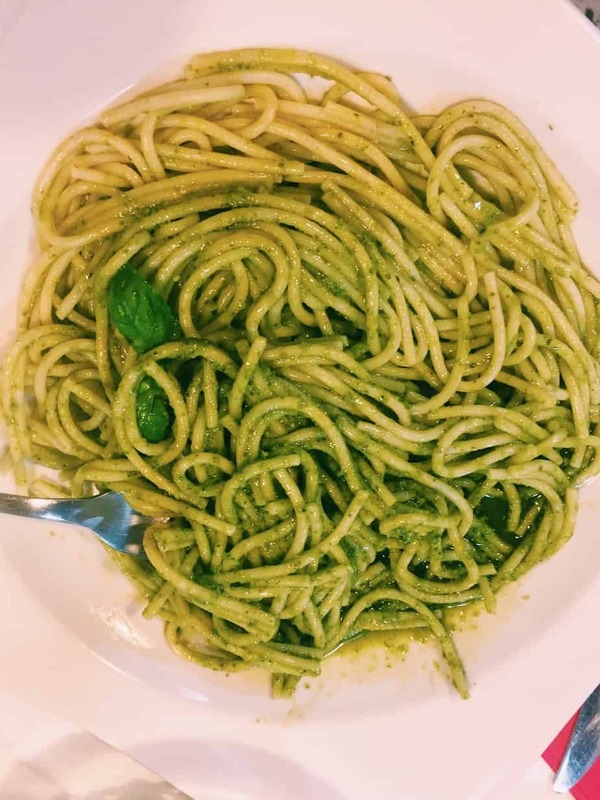 pesto is a cinque terre specialty – I made sure to have the GF pesto pasta our second night at Veciu Muin in Riomaggiore! La Grotta: I had high expectations of La Grotta after reading that it had gluten free options on Tripadvisor. We booked ahead of time and got all excited, so I was disappointed when we arrived to find that they did NOT have gluten free pasta or pizza. Luckily the waiters are knowledgeable and knew straight away what dishes were naturally gluten free. There is a really good seafood risotto (for two people) here that was gluten free and it is worth eating here for that alone. Alimentari Franca Market: I didn’t go here but one of my readers has recommended this market for gluten free travelers to Riomaggiore. Here you will find gluten free noodles, bread, and cookies! Perfect if you are also staying in an Airbnb in Riomaggiore like I did. The village second from the south and known for its views and access to the most difficult inland hike. Manarola became my favorite village, thanks in part to its large amount of gluten free options! 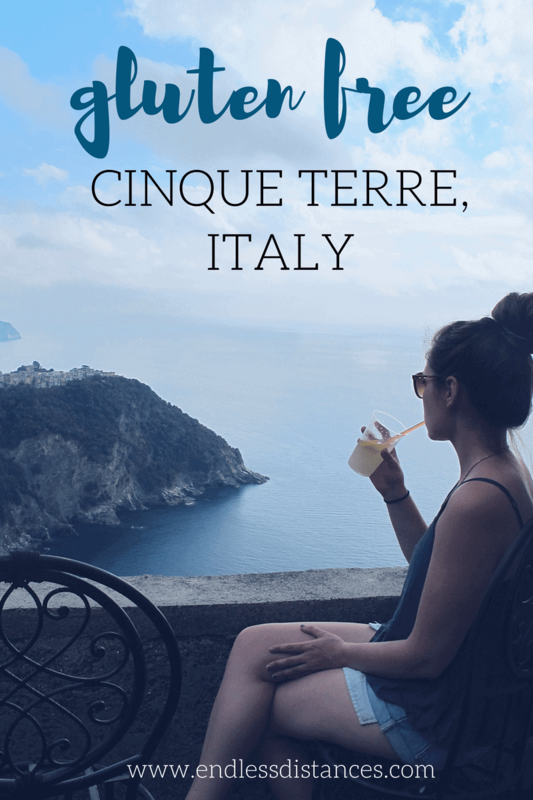 Gelateria Cinque Terre: If you are gluten free in Cinque Terre, you have to come here. I saw the sign outside that said “SENZA GLUTINE” and scoffed, like yeah whoop whoop gluten free gelato big deal… it’s like when they put “gluten free” stickers on apples at the grocery store. Well I finally decided to take a look after passing it a few times, and was so surprised! Here you can get gluten free cannoli’s, other pastries, crepes, brioche buns, and even gluten free cones for your gelato! There are lots of vegan options, too. *TIP: there are two Gelateria Cinque Terres, the gluten free one is the one closest to the sea (turn left out of the train station, not right). Also, it opens at 11 NOT 9, as it says on Tripadvisor. Il Discovolo: I was really disappointed that this place was closed for our whole visit (completely inexplicably… no sign on the door and we checked its working hours multiple places). However it has really good gluten free reviews online and all the signs outside the door advertise it as “Senza Glutine.” They sell gluten free pizza, paninis, and farinata… it’s a must visit (and right across from Gelateria Cinque Terre) but good luck on it being open! *Edit 8/27/18: One of my readers has commented that she believes she was glutened after eating a croissant from Il Discovolo. Bear this in mind if you decide to go here! 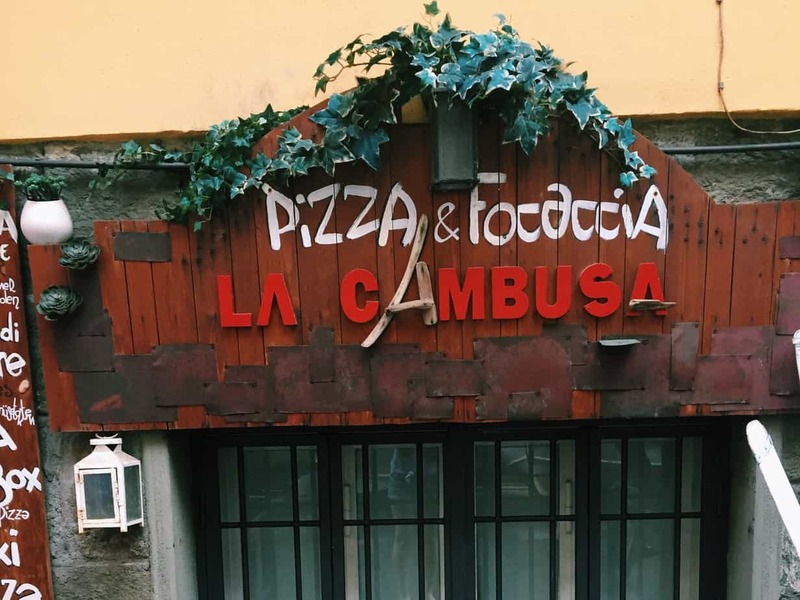 La Cambusa: This place advertises gluten free pizza, and it’s right in the area of Il Discovolo and Gelateria Cinque Terre. We didn’t eat here purely because we had already eaten by the time I discovered it… but I would definitely try it next time! Nessun Dorma: We ate here on the day of Great Gluten Free Disappointment when Il Discovolo was closed. There is NO gluten free pasta/bread/pizza (a bit surprising for such a trendy restaurant) but the waiters were knowledgeable and I had a nice caprese salad. It’s worth eating here for lunch because the views and drinks are unbeatable. Dal Billy: Thanks to poor planning we didn’t eat here but it’s known as having the best view and food in town. I checked the menu and there are lots of naturally gluten free seafood options… it’s not clear if they have gluten free pasta/pizza/bread but I think it would still be worth eating here for dinner next time. The most remote of the villages located up on a cliff with a long walk down to the sea. People usually spend the least amount of time here, but it seems to also be the most untouched by tourism (it’s still pretty touristy). See little Corniglia on the hilltop in the distance? We didn’t eat in Corniglia due to timing with our hikes, but I did see on signs that you can get gluten free pizza at Caffe Matteo, and gluten free paninis at Km 0. The second from the north village, Vernazza, is gorgeous with a wide harbor perfect for taking a boat trip. There is also a popular castle overlooking the town. I found it to be a bit “Disney” though – it was absolutely crawling with daytrip tourists and with only one exit this causes big issues at the train station! However I did find my favorite gluten free lunch spot here! Lunch Box: You must eat lunch at Lunch Box whilst in Cinque Terre. They reliably, always have gluten free focaccia made by a local baker – and it is SO good! You can eat on their cute terrace or do takeaway. Just beware that they are closed on Fridays! Gelateria Vernazza: This is widely known as the best gelato spot in all of Cinque Terre. Definitely worth a taste, and they label the gluten free gelatos as well (when we visited, they were all gluten free!). 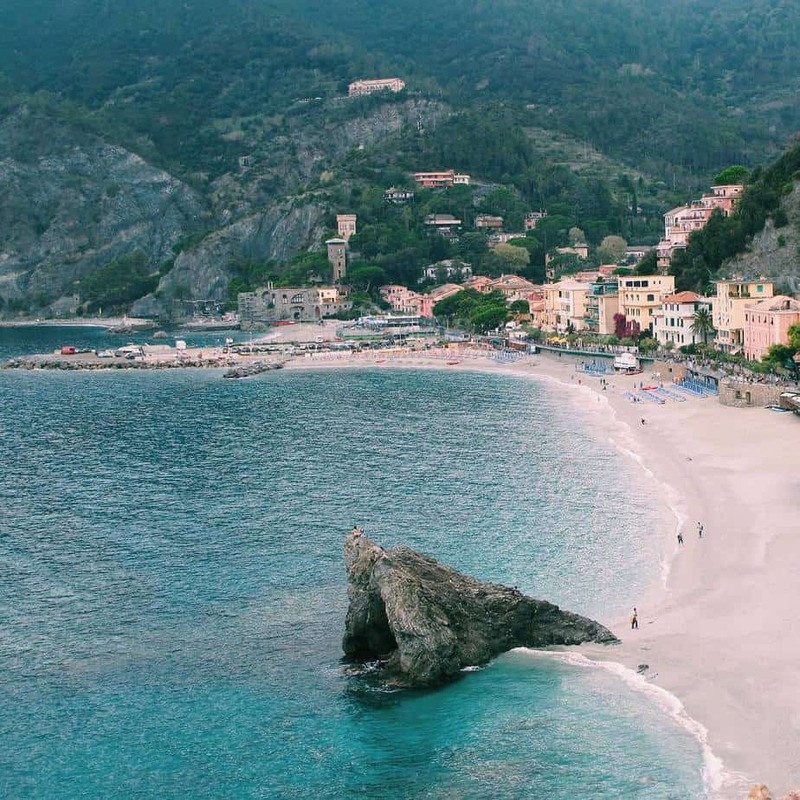 The biggest and most commercial of the villages is Monterosso, at the Northernmost end. It also has the best and biggest beaches for swimming and sun bathing. This one feels more like a “town” than a “village” per say. There are many gluten free restaurants in Monterosso according to Tripadvisor but we spent more time in the other villages. As the biggest and most commercialized of the villages, I’m sure there are many other options out there so it is worth investigating past my recommendations. 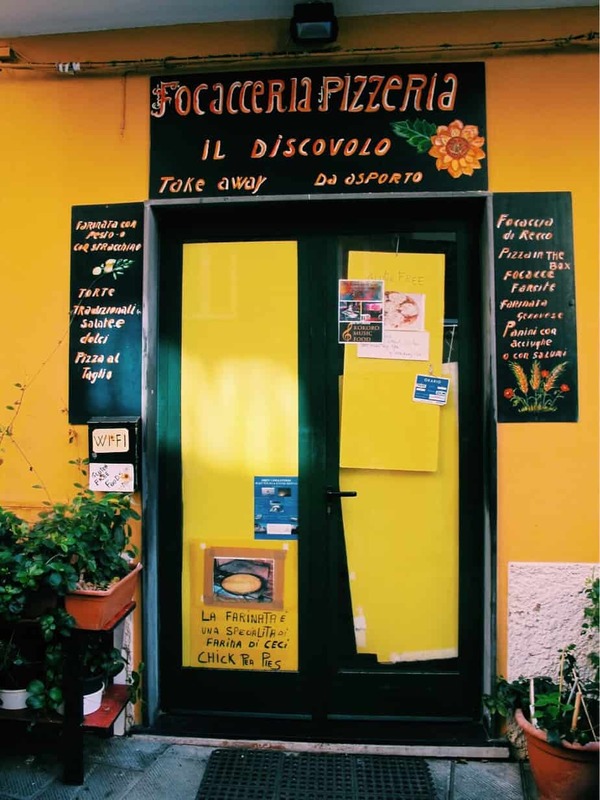 Gastronomia San Martino: This is another example of the deceit of Tripadvisor… they may have served gluten free pasta two years ago and be listed as having “gluten free options”… but they didn’t. Apart from an asparagus and seafood salad which was, actually, quite good. Their menu changes nightly and you eat just from a buffet, so if you want something casual in Monterosso this is a good option. As always, my gluten free guides are working documents! 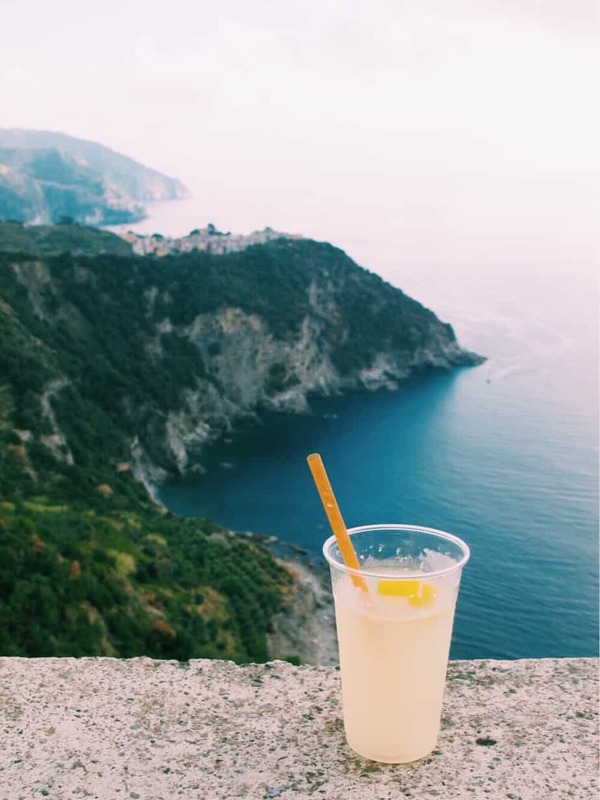 Restaurants close, new restaurants pop up, menus change… so if you have any other insight on the gluten free Cinque Terre experience, please let me know and I will update this post accordingly! Otherwise… happy traveling & happy eating! (Senza glutine, of course 😉 ).